The Kaduna State Government, on Sunday, dispatched the State Emergency Management Agency (SEMA) to Bakin Kogi community in Jema’a local government, following the killing of some citizens. A condolence statement issued by Governor Nasir El-Rufai’s spokesman, Samuel Aruwan, to the residents of Bakin Kogi and Kannikon chiefdom condemned the attack and sympathised with the families of the victims. “Following reports of an attack on residents of Bakin Kogi, the state government deployed officials of SEMA to the area to assess the situation and take necessary steps to relieve human suffering with immediate effect. The SEMA team, led by the agency’s chief executive Ben Kure, is already in the area. “Security operatives are in the area, where they are investigating the criminal action and providing reassurance to residents. The government is ready to prosecute anyone found culpable by the security investigations. “While the institutions of law and order are doing their work, the government is appealing to our leaders in our traditional institutions, civic and faith groups to continue the work of calming our communities, and bolstering the constituency for peace, security and the rule of law. 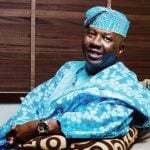 “The state government commiserates with families that lost their loved ones and prays God to grant them eternal rest. In these difficult times, government will continue to discharge its duty to secure the state, and promote peace and harmony across our diverse communities.” the statement said. 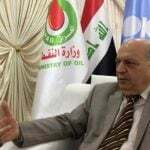 Iraq’s oil minister said on Thursday his country had the capacity to increase its oil production to 6 million barrels per day (bpd) if needed, but it was committed to OPEC-led output cuts and would not take unilateral action to boost supply. 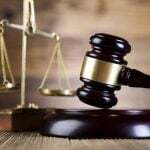 An Abeokuta Magistrates’ Court on Thursday ordered that two men be remanded in prison for attempting to murder the Ogun State APC Chairman, Chief Derin Adebiyi. 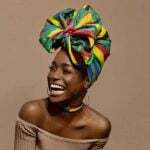 Nigerian beauty influencer, Whitney Madueke, has been selected with 23 others across the world to be part of Sephora, an International beauty retailer. 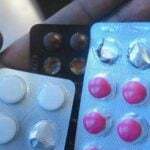 A medical personnel, Dr Jaiye Aderinoye, has warned against self medication in treating malaria prior to diagnosis. 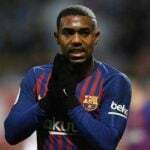 The agent of Barcelona forward Malcom has sought to distance his client from reports suggesting that a summer switch to AC Milan could be on the cards. Popular actor, Babatunde Omidina, popularly known as Baba Suwe, has reacted to rumours making rounds on social media that he’s dead. 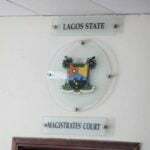 A 21-year-old carpenter, Wasiu Nojeem, who allegedly set his neighbour’s car ablaze over his wife’s refusal to accept his sexual advances, on Wednesday appeared in an Ikeja Chief Magistrates’. Gunmen on Thursday killed a female polio vaccinator, the fourth this week, in the latest surge of violence against efforts to rid the world of the crippling childhood disease, an official said. 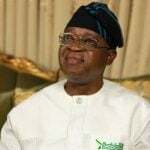 The management of Osun Waste Management Agency (OWMA), on Tuesday, said it had arrested and prosecuted more than 60 persons caught dumping refuse indiscriminately in Osogbo. Police have rescued 216 human trafficking victims, mainly children, from forced labour and prostitution in a major operation in Benin and Nigeria, Interpol said on Wednesday.